﻿Daniel’s Programs show how to create a standard of kindness and connection in your organization that others will want to follow because it benefits everyone. Daniel uses a model and experiential format for his programs first identified and developed by friend and colleague, O. Fred Donaldson, Ph.D. In the programs, participants discover how to get out of the cycle of daily struggles and conflicts and develop kinder, stronger connections with others. This allows for reduced stress and increased productivity. It also promotes more options not usually seen when people are stuck in conflict. Programs typically involve a brief introduction, visual examples with Daniel's renowned photography to highlight key concepts, and large amounts of interactive, experiential participation so that people are actively learning through hands-on ﻿involvement. ﻿﻿An interactive program that promotes the individual and community benefits of moving beyond civility with kindness, inclusion, and connection. Perfect for students and organizations looking to improve relationships and lead by example. How do you respond to challenging people so that you don’t get sucked into a cycle of resource-draining, unproductive behaviors? This program shows you how to begin the process and practice this necessary skill, so it becomes part of your daily routine. Using this practice builds stronger communities that interact and work more closely together. Few things build community faster than showing people how everyone is connected. Do you let others decide how you will react or are you in charge of your actions? A program that promotes a different perspective to enhance photography skills. Go beyond "point and shoot" and see nature photography in a new way, even with your cell phone. You don't have to be overwhelmed by tech details or feel stuck with your camera on auto setting to photograph the outdoors. Creating an atmosphere of kindness, connection and safety for daily interactions is a skill worth knowing and practicing. Bringing people together and staying connected is an overlooked skill that can be used on campus, at home, and in the workplace. This skill promotes inclusion and can help people to see multiple options to challenging situations. It can also help reduce stress and improve productivity. Is such a thing possible with so much struggling going on? Yes! It requires practice and patience. You can transform the way you interact. “You are working too hard. Take a break.” When do you hear that in your leadership work? Many leaders are great at taking care of those they serve while their own needs are left on the back burner. In this interactive program, we focus on taking time to relax, de-stress, and look at ways to incorporate this into our daily routine. Since the busyness never stops it is essential to take care of yourself so you can continue helping others. ​There is a connection between photography and leadership that you can experience each time you pick up your camera or smartphone to take a photograph. Many of the characteristics that create good photographs can also help to shape leadership. Examples include seeing things that some people miss (vision) and examining new opportunities (exploration) for growth. Photography is an art that can craft individual moments while helping you to refine your leadership role. 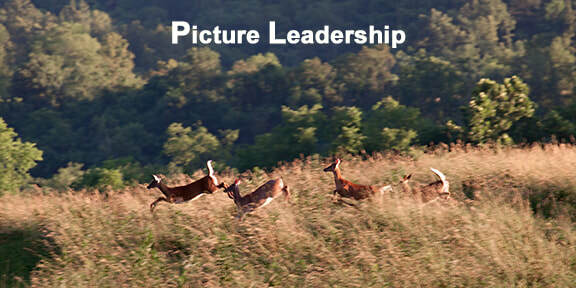 In this program, we will identify important aspects of leadership and also develop better photography skills. Picture the possibilities.